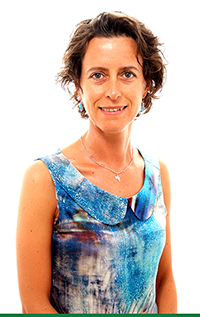 "I aim to empower my clients to take control of their own health by coaching them rather than just prescribing "
Raquel Martin | BSc Hons, Dip NT, mBANT, rCNHC, vmTRA. I am a certified nutritional therapist and also a reiki practitioner. As well as having my own private practice, I also give Reiki at St George’s hospital as part of Full Circle’s team of therapists. I am passionate about helping people improve their lives. I help my clients take control of their health. I focus on achieving a state of wellbeing (which is so much more than just the absence of illness). It’s fascinating to me that our health can be transformed by not only what we eat, but also by what we feel and think. I truly believe in the healing power of food and the healing power of our own bodies. My aim is to set the right conditions for it to happen. Please continue reading below to find out more about who I am and what I do. I am a registered nutritional therapist who graduated from the College of Naturopathic Medicine (CNM) with a diploma in naturopathic nutrition. The College of Naturopathic Medicine is one of the UK’s largest, most highly-respected and well-known natural medicine training providers, with colleges all over the UK and Ireland. During my final year at CNM, my final portfolio was selected to represent outstanding work in that year’s accreditation visit at CNM. I specialise in gastro-intestinal complaints (e.g. IBS, acid reflux, constipation, ulcerative colitis), food sensitivities, weight loss, thyroid imbalances and auto-immune conditions in general. If you suffer from fatigue, lack of sleep, stress, muscle/joint aches, hormonal imbalances, asthma, eczema, you are struggling to lose weight or you would simply like to eat more healthily, you may benefit from a consultation. My interest in nutrition started as I struggled with my own health issues a few years ago. As time went by, I had to stop doing sport, which made me feel distraught and pushed me to find a way to recover. After visiting several doctors, doing tests, physiotherapy…etc. for over a year, I didn’t get any better. Eventually, I followed a nutritional protocol and today I am healthy and I can do sport like I used to. This was a huge eye opener for me as to the healing power of food, to the point that I decided to change career and qualify as a nutritional therapist. I am registered with the British Association for Applied Nutrition and Nutritional Therapy (BANT). I am also a member of the Complementary and Natural Healthcare Council (CNHC). As a CNHC member, I meet the National Occupational Standards in the practice of nutritional therapy and I am obliged to abide by the CNHC Code of Conduct, Performance and Ethics. I am also fully insured by Balens Specialist Insurance Brokers. Are you feeling low? Stressed? Anxious? Are you in physical or emotional pain (e.g. grieving)? I can help you! Reiki is a practice that can bring back balance into your life. I am a verified and CNHC registered Reiki practitioner. As well as having my own private practice, I also work at St George’s hospital as part of Full Circle’s team of therapists. For more information on the latter please click here. and here. and here. My journey with Reiki started in 2010, when I was initiated into the Reiki Usui Shiki Ryoho system by Victoria Dalgleish. In 2012 I started working with the highly respected Tripuri Dunne, who prepared me for public practice and who is my current master and mentor. I was initially attracted to Reiki as a tool for personal development. It has given me that and so much more! Through the years Reiki has become part of my life. It has helped me find my path in life and has given me the courage to follow it. Reiki is now so embedded in my life that I could not imagine not having it. I am fully insured. 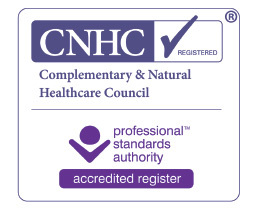 I am registered with the CNHC (Complementary & Natural Healthcare Council) and I am a member of the Reiki Association. What makes a consultation with Raquel unique? "I believe that there is a mind-body-soul connection and that all need to be balanced to achieve a state of wellbeing "
“I had been unwell for some years – regular stomach cramps and upsets, depression, anxiety, OCD and an inability to lose weight. I had very low energy, was listless and I was bloated.I first saw Raquel in October 2016. At that point, I wasn’t sure if there was a way back, I thought I’d left it too long (late 40s). From the first consultation, I started to feel that it wasn’t too late, there would be some hard work to do, but I could be helped. After the first 90 minutes with Raquel, I felt calmer and more hopeful. Raquel recommended various laboratory tests over several consultations. The results showed, amongst other things, that I was shockingly deficient in Vitamin D, I had some food sensitivities, gut infections and high cortisol. Within three weeks of starting her recommendations, my skin looked brighter and less dry, and my stomach had calmed down a lot. I have been following Raquel’s advice on diet, supplementation and lifestyle. The latter was particularly important: I needed to bring down my stress levels, as that was affecting everything else. Raquel advised me on additional help I should seek regarding stress management, and I now do Pilates classes once a week, Reiki once a month and have counselling sessions on a fortnightly basis, amongst other things. I have now lost two stone in weight. I have managed to get rid of one of the stomach infections. I feel more energised, calmer and less anxious and depressed. “When my GP told me few years back “Mr. Joshi, there is nothing we can do about your stomach. I am sorry but you will have to live with this pain in your upper stomach for rest of your life”, I took the words of the expert and a little discomfort in my upper stomach became part of me. I contacted Raquel when my GP this year told me that I have high cholesterol and that I should change my eating habits. I also mentioned to Raquel about some digestive issues I had and this discomfort in my upper stomach. Four months down the line with Raquel’s suggestions, I have lost a lot of extra weight, I feel healthy, the digestive issues are gone and the discomfort in my upper stomach, which my GP gave up on, seems to be healing. “Raquel has helped me tremendously. I was feeling awful and things were pretty desperate for me when I found her. I had become unwell very quickly, my energy levels were virtually non-existent and I was struggling badly with painful joints and aching muscles. I’d been told there might be a thyroid problem by my GP and was eventually diagnosed with Hashimoto’s disease (the auto-immune version of Hypothyroidism). Raquel’s guidance also helped identify that I was suffering with leaky gut and dysbiosis. Her deep knowledge in these areas helped me to better understand the auto-immune processes taking place in my own body. She guided me in what I needed to be requesting in my blood tests and subsequently analysed my results. She provided me with a dietary protocol: a combination of eating certain foods, avoiding certain others and a recommendation of food supplements to help put things back on the right path. This helped me and I gradually began to improve. However some of my symptoms remained so Raquel arranged a food intolerance test for me. The results were very surprising and really enabled Raquel to fine-tune my recovery protocol. She helped me to understand the lifestyle changes, the commitments and sacrifices I needed to make in order to feel well again. “I went to Raquel as a result of having Typhoid a number of times and taking many courses of antibiotics. As a result, I started having bad digestive problems, at times I felt nauseous and I felt as if I was not digesting my food properly, all of which caused discomfort. Raquel was the first nutritional therapist I had ever been to and I found it really helped. The approach she used was a holistic one, where she looked at many areas of my life and as a result gave me a diet to follow for approximately 8 weeks, as well as taking a supplement. The diet was hard, as it involved cutting out caffeine (! ), but it was really worth it. It really made me increasingly aware of how important your diet is and the effect it can have on your physical and mental well being. “My cousin in India told me about Reiki and I had no clue about it. While getting a consultation for nutritional therapy from Raquel, she explained to me about Reiki. Many of the issues with my digestive system seemed to be stress related, having been through some tough time in my life. I read about Reiki and felt that, although I did not think I needed that much physical healing, mentally/emotionally I could do with some support in whatever form I could get it. After four sessions of Reiki from Raquel, I found many knots in my mind opening up. I feel emotionally healed and open to challenges in life that I had considered myself not worthy of anymore. Reiki sessions from Raquel have given me an ability to face life with new strength and determination. I was drawn to Reiki for emotional healing and I can say that in the past weeks, these sessions with Raquel have put me in the right direction. “I’ve had the fortune of receiving Reiki by Raquel in a number of occasions and for different reasons. Most recently she helped me see through a difficult patch of bad sleep and restless mind during some hardships in my personal and professional life. Raquel always takes the time to prepare the atmosphere and to make me feel at ease before each session. The Reiki I get from her helps me tackle each situation with a more positive, optimistic approach and with a clear head. I am always surprised at how much more relaxed I feel after every session and how long this beautiful sensation lasts for. "I truly believe in the healing power of food and the healing power of our own bodies, and my aim is to set the right conditions for it to happen "
Please fill out the form below (or email or telephone me) if you would like any more information about me or for an informal chat about what your requirements are and how I may be able to help you. 59 Addiscombe Rd, CR0 6SD.